What does Fathi mean, details, origin, short & easy attributes? Fathi pronunciation in 20 different native languages. Arabic Meaning: The name Fathi is an Arabic baby name. Fathi is baby boy name mainly popular in Muslim religion and its main origin is Arabic. Fathi name meanings is One who wins victory after victory, triumphant victor. People search this name as Anees fathima, Azwa fathima, Anish fathima, Nikhat fathima, Rifa fathima , Fathima, Aamina fathima, Harmain fathima, Fathimathu zahra, Fathima minha, Fazeen fathima, Konain fathima, Fathima asfiya, Amreen fathima, Fathima banu, Azra fathima, Aneesh fathima, Farzana fathima, Iqra fathima, Zubin fathima, Fathim un nisa, Fathima manha, Kaneesa fathima, Nada fathima, Razia fathima, Kaniz fathima, Haniya fathima, Sana fathima, Zaya fathima, Fathima anjum, Fathima aza meaning, Ansam fathima, Fathima nowsheen, Fathi , Fathima hindi, Fathima bibi, Erum fathima, Mizbha fathima, Fathima amreen, Fathim unnisa, Misbha fathima, Rizwa fathima, Fathiya, Fathiyya, Fathima farzana, Fathimunnisa, Asra fathima, Fathima fisza meharin, Fathiyah, Azma fathima. Fathi is written in Urdu, Hindi, Arabic, Bangla as فتحی, फटही, فتحی,فتحي, ফাথী. Other similar sounding names can be Fatan, Fateen, Fateenah, Fateh, Fath, Fathullah, Fatih, Fatiha, Fatik, Fatin, Fattah, Fattan, Fattooh, Fateenah, Fatema, Faten, Fatheha, Fathia, Fathima, Fathiya. Popular personalities with Fathi Name. Fathi Hassan is a in the fields of painting, sculpture, and installation art. Fathi was born on May 10th, 1957 in Cairo. Fathi Shaqaqi was a Secretary-General of the Islamic Jihad Movement in Palestine and Secretary-General of theIslamic Jihad Movement in Palestine. Fathi was given the name Fathi Ibrahim Abdul Aziz Shaqaqi in Rafah. He left this life on October 26th, 1995. Fathi was born on February 9th, 1933. He passed away on June 13th, 2009. Fathi Al-Jabal is an athlete for the Al-Shabab FC (Riyadh). Fathi was born on February 25th, 1963 in Tunisia. Balqees Fathi is a singing. Her most notable accomplishments were from 2011 to 2011. Balqees was given the name Balqees Ahmed Fathi on October 20th, 1988 in Abu Dhabi. Mostafa Fathi is a soccer player for the Zamalek SC, FC Belkas, Egypt national under-23 football team, and Egypt national football team. 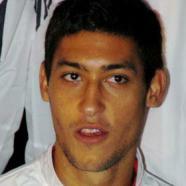 Mostafa was born on February 25th, 1994 in Dakahlia Governorate. Hassan Fathi is a television director, film director, and screenwriter. Hassan was born in Iran. 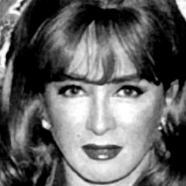 Naglaa Fathi is an actor and actress. Her most notable accomplishments were from 1966 to 2000. Naglaa was given the name Fatma al-Zahraa Hussein Fathi on December 21st, 1948 in Cairo. Malik Fathi is a soccer player for the CD Atletico Baleares, Hertha Zehlendorf, Tennis Borussia Berlin, Hertha BSC, FC Spartak Moscow, FSV Mainz 05, Kayserispor, TSV 1860 Munchen, and Germany national football team. Malik was born on October 29th, 1983 in West Berlin, West Germany. Nazila was born on December 28th, 1970.